We are running at the last days of summer and even though it hasn’t been a proper summer yet (you know sandals, flip flops, ice-cream, bikinis etc.) I am planning my autumn wardrobe already. I am stocking up basic things, following the five basic pieces French rule and in an effort to create my capsule wardrobe that will save me loads of time every morning. 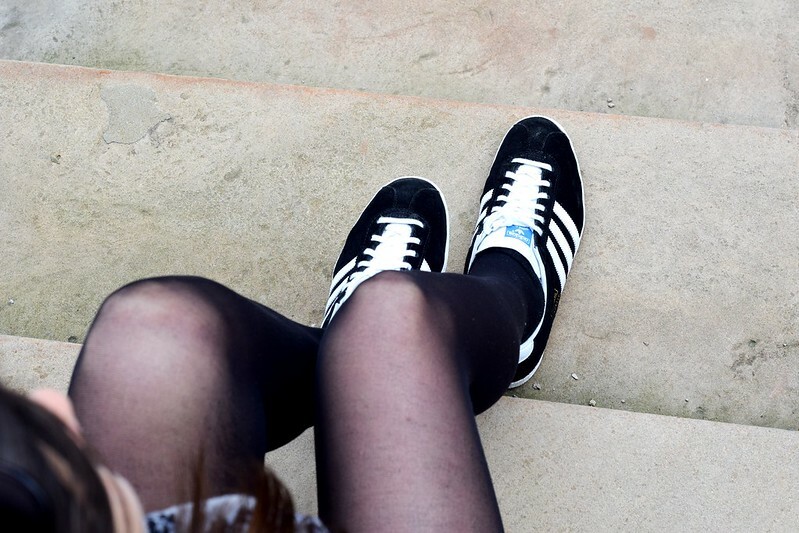 One of the first basics I decided to get in my wardrobe is a classic pair of sneakers, Adidas Gazelle. For £67 they are quite cheap compared to other trainers that are in demand on the market and they are also one of the most comfortable pairs I have tried on. I got them from House of Fraser and you can see the whole collection here. Gazelle have been loved by all fashionistas since the 1960 and they make the perfect everyday pair of trousers to get you from day to night. Definitely worth the money and most probably they will turn to be the most worn piece in my wardrobe during the colder season. Would you go for Adidas Gazelle or Superstar?